As long as you aren’t expecting a traditional farmer’s market, Singapore’s brand new Pasarbella can be an enjoyable dining and shopping experience. Pasarbella (pasar meaning market in Malay and bella Italian for beautiful) is neither beautiful nor a farmer’s market. It is, essentially, an indoor food court with a small selection of fresh and organic food. Two or three small stalls sell produce, there is also an organic supermarket which is quite expensive. No locally made jams or sausages are on offer, no potted herbs. I don’t believe that outlets such as Salad Stop – a build-your-own-salad chain store popular in the business district – are appropriate at a farmer’s market. People are usually at such a place to buy fresh produce, not to build a salad from prepared ingredients as we can get that for lunch at the office. 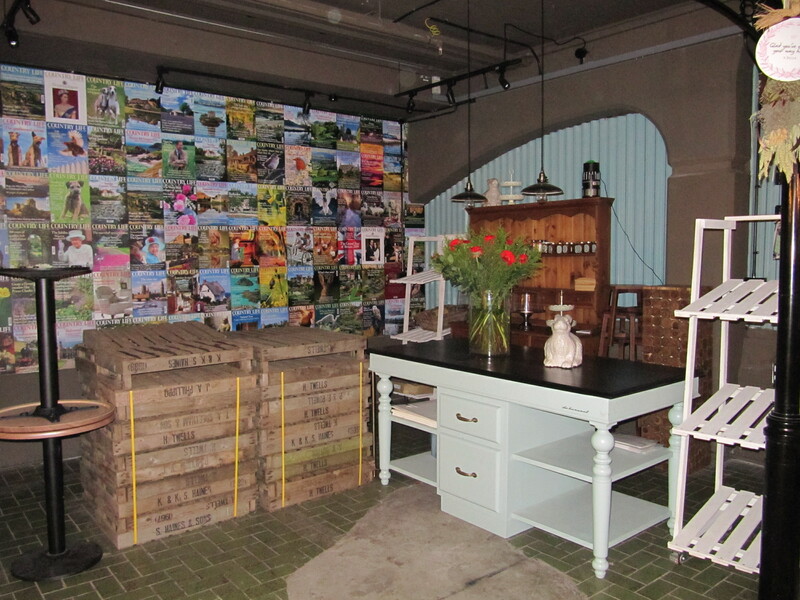 While I find “Pasarbella” to be a misnomer, it does have some shops and eateries that are worth a visit, so if you are interested in organic products, seafood, wine, cheese and kitchenwares then you may wish to pop into Pasarbella if you are in Bukit Timah. The market is very new, so we can expect a wider range of fresh produce and baked goods as they progress. I am hoping for an outdoor area. On the plus side, there is a a few small handicrafts available, local artists have stalls and many of the wine shops and the food stalls provide plenty of options for coeliacs and vegetarians. Food can be bought at any outlet and eaten at the trendy tables and chairs for public use, just like a food court in a shopping mall. We had lunch at Oceans of Seafood, a real fishmonger. 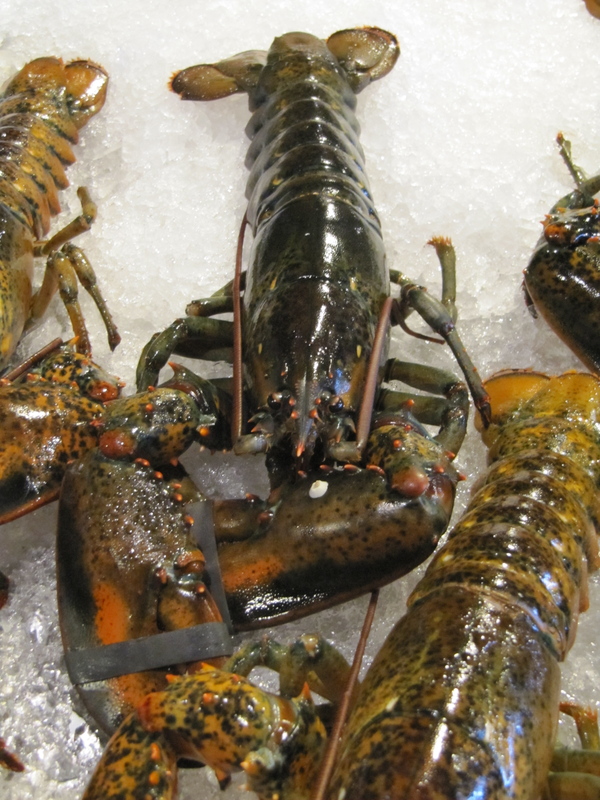 There is the option of taking a lobster home for dinner, having a snapper filleted for sushi or watching your scampi cooked on the spot and served with lemon and sauce. Very fresh shellfish and reasonably priced. Suitable for coeliacs. I don’t drink coffee, but I know a good roast by the smell. I also seek out cafes with proper hot chocolate. 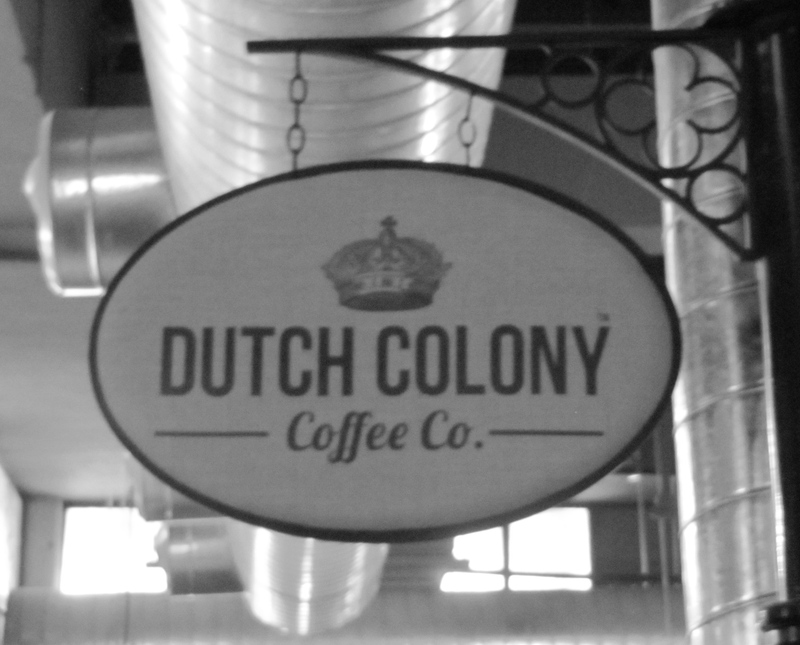 Dutch Colony Coffee Co. is a local coffee roaster, this is their only outlet. 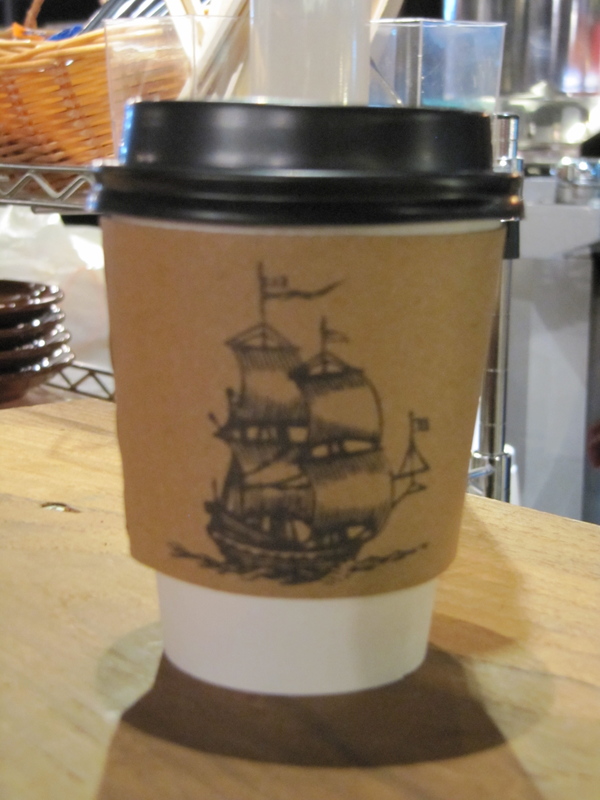 The shop appeals to olfactory perception with it’s fresh coffee aroma and we enjoyed their quality chocolate beverages. Other notable outlets include Huber’s Deli – the purveyors of quality, MSG-free meat. They offer fine cold cuts and sandwiches which are something of a meat fest involving sausages, pastrami and pate. Should be known as “The Salad Dodger”… this deli is very clean and fresh. Le Patio is a European cafe serving crepes for $3 and I didn’t get to try their famous paella but I had the pleasure of watching the dish being prepared, which is something we don’t get to see often in restuarants. 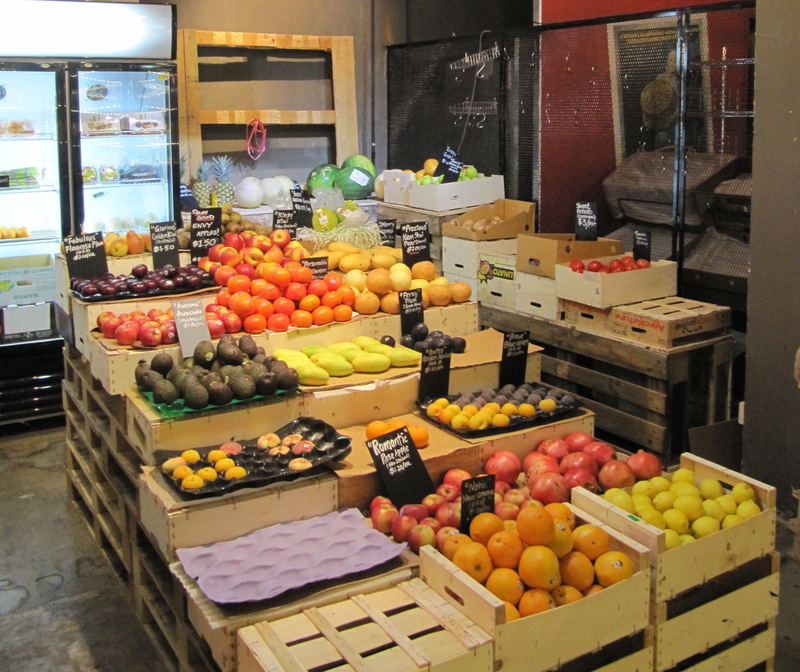 The Organic Grocer caters to shoppers with gluten, nut, meat and dairy-free diets. They also offer baby, body and home products that are organic or free of chemicals. This being Singapore, the wares are imported and therefore expensive but they do carry items that are difficult to find in regular supermarkets. The Organic Grocer also offers a delivery service. 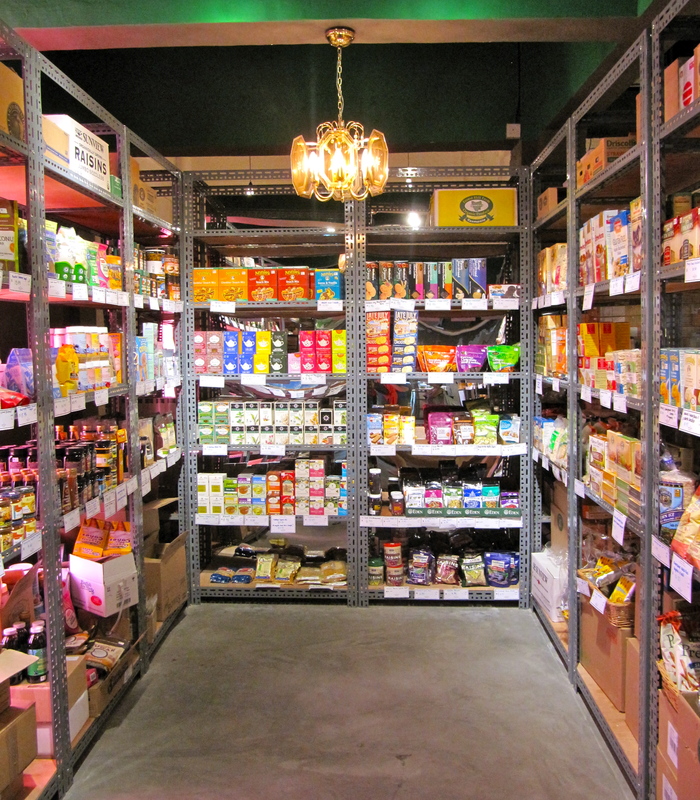 Finally, a store that certainly belongs at a food market: Pantry Magic. It is a another chain store, but it’s at least in the right place. 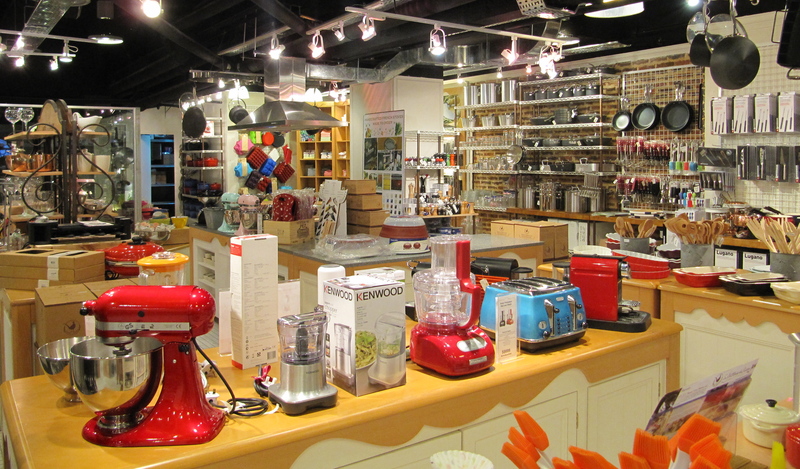 For those who are serious about their kitchens, Pantry Magic is an exciting find opened by a chef – the perfect place to source pure linen tea towels, copper pots, food processors and superior vegetable peelers. I never got around to exploring the homemade ice cream and beauty products at Pasarbella, so at least there will be something new and intriguing for my next visit. I know I’ve stolen this from my other blog but it has a lot of useful information on allergen-free and organic food in Singapore.